After presumably being shipped to me via a very fat, lazy man riding a very old, lazy donkey, the new Blind Guardian album arrived in the mail. Finally, the torturous wait was ended! I could now immerse myself in the newest offering of one of my all time favorite bands! And the wait was worth it. Blind Guardian’s 2002 masterpiece, A Night at the Opera, left fans wondering if what came next could possibly compare. But fans should have known that if that album followed the legendary Nightfall in Middle-Earth which followed the amazing Imaginations from the Other Side which followed... well, you get it; the band is pretty much incapable of putting out an album that doesn’t stand on its own. In short, 2006 saw the release of A Twist in the Myth, which, though it lacks some of the over-the-top elements that made A Night at the Opera literally feel like you spent big bucks, dressed up, and arrived at some gilded concert hall in a stagecoach, still contains immense doses of Blind Guardian style epic. And now, four years after, At The Edge of Time proves that the band still has it. The album begins with “Sacred Worlds,” a song made in connection with the fantasy video game Sacred 2: Fallen Angel. 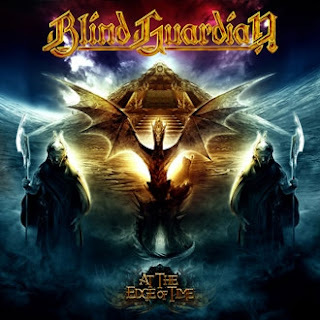 This track features some great orchestrations, a killer chorus, and also happens to be about nine wonderful minutes long—a great opener for pulling the listener directly into the Blind Guardian world. Following on its heels is the rocking “Tanelorn (Into the Void),” a nice throwback to their earlier sound (ironic since their 1992 album Somewhere Far Beyond featured “The Quest for Tanelorn”). This track is another fine example of the blending of power/thrash and catchy sing-along rock that the band has always been known for. 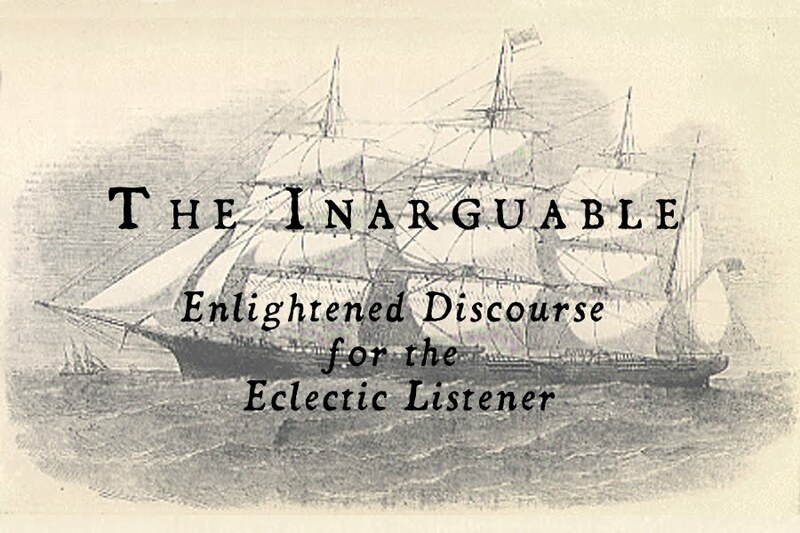 Admittedly, it took two listens for me to realize just how awesome this album really is. The only weakness I can find is “Ride into Obsession.” Not that the song doesn’t sound like they put their hearts into it, it simply doesn’t feel like it completely gels. Fortunately, it comes right before the amazing “Curse My Name,” a track that is destined to be a new classic. It has the potential to be the song the audience sings entirely while Hansi looks on approvingly (like during “The Bard’s Song” on the Imaginations through the Looking-glass DVD). In fact, the same can be said for the following tracks, straight through to the end of the album. When sung by fans at a show, the chorus to “Valkyries” just might cause the venue to collapse, and it doesn’t stop there. “Control the Divine” is pure, new-school Blind Guardian magic. “War of the Thrones,” like “Curse My Name,” is a majestic, orchestrated, folky sing-a-long, perhaps one of the best the band has ever written (it’s also inspired by acclaimed fantasy author George R.R. Martin). And the album finishes off with “A Voice in the Dark” and “Wheel of Time,” (of course, referring to another acclaimed fantasy author, Robert Jordan) the former proving that there is no such thing as a run-of-the-mill Blind Guardian single, and the latter, with its eastern influences and large orchestrations, ending the album in much the same spirit as it started.